New Delhi 21 August 2017: As per the report from a senior official, Rs. 42,000 crore has already come in as taxes so far in the first monthly filing under the new Goods and Services Tax (GST) regime and the revenues are expected to swell further as the filing cycle closes this later this week. A senior official said that about Rs. 15,000 crore has come in as Integrated-GST, which is levied on inter-state movement of goods, and another Rs. 5,000 crore by way of cess on demerit goods like cars and tobacco. The remaining Rs. 22,000 crore has come in as Central-GST and State-GST, which would be split equally between the Union and state government. "Tax deposited till this morning was Rs. 42,000 crore," the official said. In July last year, Rs. 31,782 crore of excise duty was collected and Rs. 19,600 crore of service tax. Estimate for the combined sales tax or VAT collection by states was available. 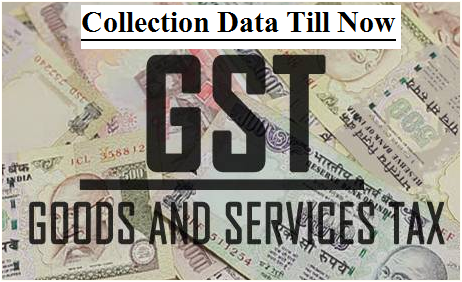 As per the GST law, any registered person who fails to furnish the details of outward or inward supplies or returns required by the due date will have to pay a late fee of Rs. 100 for every day during which such failure continues subject to a maximum amount of Rs. 5,000. The collections from customs duty and IGST from imports post-implementation of GST have almost doubled to Rs. 30,000 crore in July. This compares to indirect tax collection of over Rs. 16,000 crore of the same month of 2016.